They say that love is the greatest adventure and we’ve seen our fair share of adventurous weddings that totally prove it! Whether you’re planning to elope in the mountains or trekking through the wilderness for your wedding portraits, you’ll need a good pair of shoes to keep you safe and dry in the rugged terrain. These bridal boots and booties are both stylish and practical so you can get on with your adventure without getting cold feet! 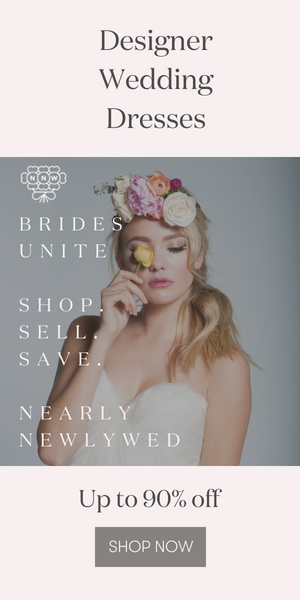 Looking for even more bridal shoes? Check out our favorite wedding flats for comfy brides on their big day! What a fabulous idea, I love adventurous brides! And the Born Troye Vintage are gorgeous, good buy for photographers too. I love this idea, as it shows that brides can look beautiful but still show off their personality! I can see dresses with high to low skirts pairing well with these boots, or simple sheath dresses with a small touch of detail. I also envision, as it shows in this post, flowing hair and even floral crowns for a boho vibe.